You can rest assured that when you choose a CompactHabit® building, you will benefit from the very best in engineering, design and innovation from the modular building market leaders. Our company and products have been independently accredited and approved by many prestigious industry and awards bodies, assuring you that they meet or exceed industry standards. The CE Marking for construction products ensures compliance with technical specifications, which are considered requirements for products from countries belonging to the EU and the European Economic Area, in order to permit free commercialization and commissioning. Testing (initial and periodic) on the product. Calibration inspections (internal and external) on equipment for production, measuring and analysis used during the module industrialization process through the eMii® system. Inspection on reception of materials and components making up CompactHabit® modules in order to ensure that they can be sold and installed with the maximum safety guarantees required by European Guidelines. 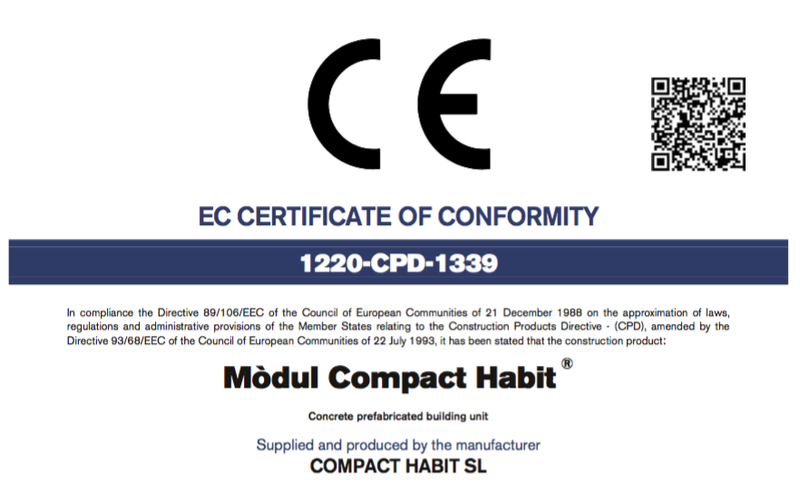 In this manner we are able to guarantee the suitability of constructive and functional solutions and quality and safety requirements established by CompactHabit® Clients and European guidelines. The ISO 9001 certification of CompactHabit® Quality Management System assures of the consistent quality standards you can expect from our products at all times. 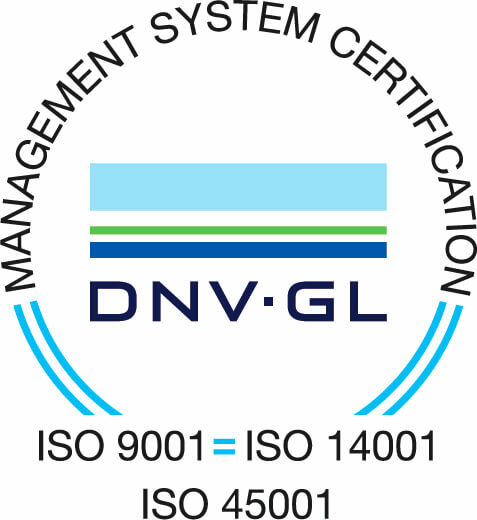 CompactHabit® has achieved the ISO 14001 accreditation for high standards of environmental management and commitment to environmental responsibility. For our customers, this means that the environmental impact of any CompactHabit® products you buy is reduced through the successful implementation of an Environmental Management System. This comprehensive health and safety standard covers the CompactHabit®'s impact on health and safety issues both for the employees of the company and the design and manufacture of all products produced by it.